On Monday evening, the phrase “white lives matter,” a slogan associated with white supremacy movements and far-right political ideologies, was found scrawled in a restroom on the American River College campus, according to an email sent to staff by ARC President Thomas Greene Tuesday afternoon. “While we do not immediately know the intentions of the person(s) who vandalized the restroom, we are treating this incident with the highest level of seriousness since, in the past, this language has been linked to white supremacist groups,” he wrote. According to Greene, the language used is concerning and ARC followed protocol by photographing and then removing the graffiti. 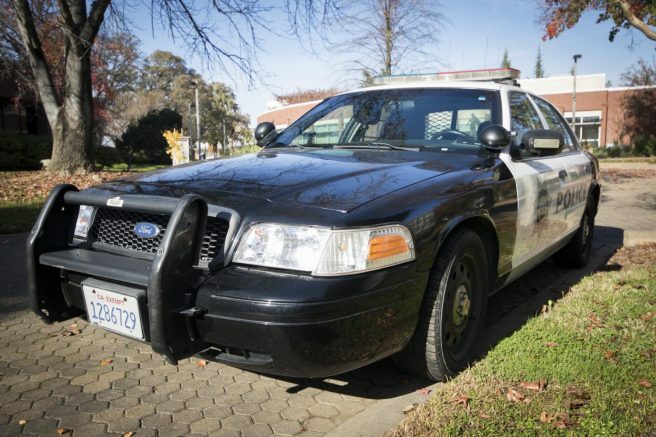 ARC has increased custodial checks of its restrooms and any vandalism will be reported to the Los Rios Police Department, according to Greene. Any graffiti that involves police investigation will be communicated to the campus community. According to ARC’s Public Information Officer Scott Crow, Greene sent out a similar email at the same time Tuesday to formally notify students about the vandalism found on campus, but students did not received it until Wednesday potentially due to a technical error on Google’s end. The LRPD also has not reported the incident, or any vandalism on March 18, on their crime log as of Wednesday. The vandalism follows a series of incidents of racist graffiti found at Sacramento City College last October, during which the administration was criticized for not notifying students or responding to the vandalism soon enough, according to the college’s campus newspaper, the Express. In response to the criticism, the LRPD promptly sent out a district-wide Rave Alert on Oct. 15, when racist graffiti was found in a women’s restroom at SCC. Multiple unauthorized flyers reading “It’s okay to be white” were also found on ARC’s campus on Nov. 1. Greene recognized in his email that incidents of racist and hate speech have been increasing nationally. “Any incidents remind us of the importance of our shared social justice work to ensure that we can reach our vision of transforming the future of all students and our community through inclusive, equitable education,” he wrote. Greene encouraged any vandalism on any campus to be reported to staff or police. This story was updated on March 20 at 3:36 p.m. to reflect new information. Be the first to comment on "“White lives matter” graffiti found in ARC restroom"